My husband is a gamer. My brother is a gamer. I am a gamer. My poor, dear, mother… is not. And each year I receive at least 5 frantic texts from her asking about one thing or another related to her shopping list. (Usually when she’s in the aisle and has suddenly realized she doesn’t know what she is buying). I can’t say I blame her, navigating the ever-changing waters of modern games is difficult! 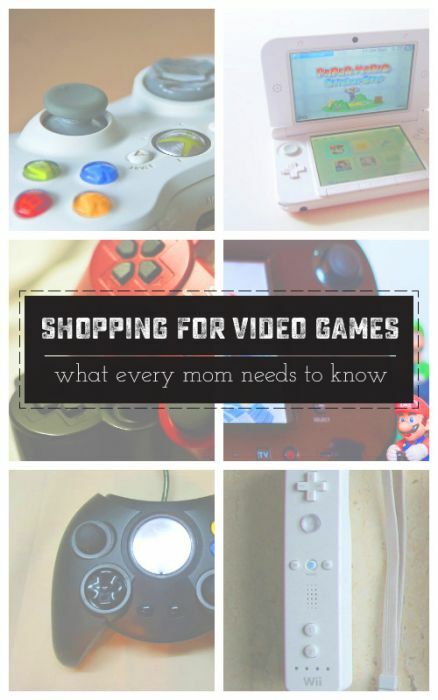 There are, however, a few rules about video game shopping to learn that will make your (and her!) experience much easier. As my mom has already inspired SEVERAL posts (Like Conversation Hearts BINGO and Christmas Morning Breakfast), I thought I’d dedicate this one to her too. 1- Know the name of the game. Games lately tend to have a main title, and a sub title. If all you’ve written down is the title of the game, you might find yourself lost when you go to purchase. Rune Factory: Frontiers is different than Rune Factory: Tides of Destiny. Be sure that you get the whole title in your subtle questioning, your outright snooping, or your pumping of friends for information. 2- Know the correct Game Console. Make sure you know for certain not only which game console your child has, but (if they have more than one) the one they want to play on as well. The common ones are Windows (computer), Wii U, Xbox One, Xbox 360, Playstation 4 (PS4), Playstation 3 (PS3), Nintendo 3DS and PS Vita. Some games are available on more than one console or on console AND computer. For example, Minecraft is available on Xbox 360, XBox ONE, PS3 and Computer. 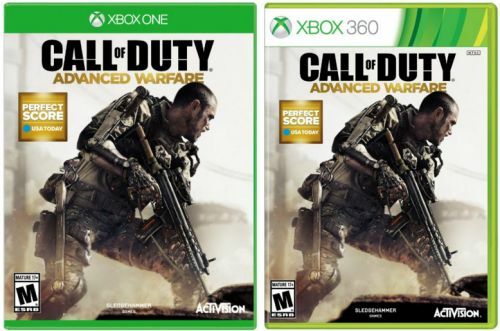 The biggest confusions will be Xbox 360 vs Xbox ONE and PS4 vs PS3 because their names and packaging are so similar. Have a look at the links to see the difference in the look of the consoles. When buying games, pay close attention to the Xbox 360 vs Xbox ONE games, Xbox ONE cannot be played on the Xbox 360 and not all Xbox 360 titles will play on the Xbox ONE. They can be packaged similarly, so be sure to read carefully. Check out the below image. These two games are the same game, same title, but are NOT the same. They are compatible with different consoles. There is NO compatibility between these two consoles. Only purchase games that specifically state which version of the console they are compatible with. Technically, the Vita can play all the games the PSP could. Except PSP games came on discs, and there is no disc drive in the Vita. So unless you are planning on giving a gift-code to a game in the PlayStation online store, be sure to purchase games specifically for the PS Vita or PSP. The Nintendo DS model is a hand held system with two screens. The DS came out originally, but has recently been replaced on the market by the 3DS. Both versions of these handheld systems look very similar. Some of the games released are compatible with both, but others are not. Typically, DS games can be played on both, but 3DS games can only be played on the 3DS. To be safe, make sure you purchase games that say “3DS” or “DS”. All Wii games can be played on the WiiU, but WiiU games can not be played on the Wii. In almost all instances, if your child plans on playing online with their friends, they will need the game for the console their friends are using. For example, a child playing a game on their Xbox 360 will NOT be able to join a session with their friend who plays on the PS4. As new games come out, some consoles begin to release additional equipment to play them. A good example is the Wii console’s release of the Wiimote Plus several months after the console, that was required by the new games. If you are purchasing a game that requires additional hardware, it will usually state what it requires on the box. The new trend of digitally downloaded games throws a bit of a wrench into gift-giving for parents. Basically, almost every console has an online store where you can purchase full games without ever receiving a hard copy of the game. Some games are only available in the online stores. That means that if you want to give them as a gift, you will have to purchase them online and give your recipient a redemption code, OR, you can give a gift card to the respective online store. For computers, the most popular game online store is called Steam. It’s not exactly as thrilling as wrapping a hard copy of game and putting it under the Christmas tree. To compensate, I usually print off a card with graphics from the game and the redemption code. Then I wrap that up and give it as normal! There are a few exceptions in price. Some games are released with special collectors editions. These are special versions of the game, usually with bonus perks or accessories. They are highly desirable and tend to sell out early. They are also more expensive than the base game itself. If your child has specifically asked for a collectors edition, you might have to pre-order it online. Be prepared to find out it has already sold out. Additionally, some retailers will create game bundles. This might be the game + an accessory, or a voucher for free online content, or some other bonus. If you like to shop around, see if you can find the game in a bundle for little to no additional cost. That will be the best buy. Video games are rated in the United states, much like movies. This is a system of letters and numbers that describes the content of the game, and the appropriate age of the player. Many of the most popular teen games are actually developed and marketed toward mature adults. It is up to each parent to understand the maturity of their own child and decide what ratings to allow. Check out the ESRB to learn more about each rating. I can’t even imagine what it’s like someone with zero gaming knowledge to gift a game. You made some excellent (and helpful) points. Just in time for the season, too. Wow! A family of gamers! That’s amazing. Knowing the game is everything, this way you can make sure that you bought the right game for yourself. I totally agree with all the things you stated here. One good way to know about the content of a video game is to sit down with your child and play the game yourself. This way you can see what your child likes about the game, who the main characters of the game are, what the objective of the game is, and if the game provides any benefits and educational value at all. I totally agree, and never underestimate the power of playing a game with your child! Unfortunately, that puts the cart before the horse a bit in terms of gift buying. Although I suppose you could rent or borrow the game your child is interested in before buying? This is AWESOME!! We are new to gaming and are tiptoeing around it. Our site does not sell video games but our FB audience loves everything about them. I know that many of them are new to gaming, like we are, and will absolutely love this blog. It’s a true resource for us “newbies”. Thanks! as a gamer and a soon to be father ( in two days to be exact ) I loved your article, it reminded me of my childhood, where I had to explain from A to Z to my mom which Pokemon game I wanted. Nowadays it’s even worse than before with the “invisible games” like you talked about, I’m a big online shopper and even I get confused sometimes, but I am sure my little boy will be in great hands with me because I will probably play every game with him! For me, playing the games myself is always a must-do before turning over a game to the kiddos. I worry about them being exposed to unnecessary violence and I like to make sure that there isn’t anything in the games I don’t want them to see. Of course, I don’t mind playing the games much either! I personally don’t believe in playing through to see the content of the game, if you feel that your child is mature enough. There’s nothing more frightening than gifting a digital code, imagine the disappointment and hassle (refunds/replacements) should it not work, 99.9% of the time they do but because of that 1 time, I’d just give money instead so they can buy the game elsewhere. I think the rating are off at times. Some games are 6+ but still picture violence. That makes me mad! Thanks for sharing these helpful tips, but I don’t usually shop for video games. I just let my kids (they’re already big and can handle themselves) do there shopping and let them know about this. My little kit is always playing MMORPG, I don’t know what that means. Does anybody know (hehe)?